Almost half of the apartments on a new Jewellery Quarter development have been snapped up in an £8 million-plus spending spree. The £16 million Metalworks apartment complex on the site of an old rolling mill and foundry has generated a flood of inquiries - with 45 of the 105 apartments already taken. London-based Delph Property Group, the developer behind the project, says the success of the scheme since its September launch highlights the growing confidence in the Birmingham residential property market. Delph acquired the second phase of the Warstone Lane development earlier this year from Morris Homes, which started work on the project in 2011. It is its first investment in Birmingham. The second phase, built on a vacant plot of land near the area&apos;s famous Chamberlain Clock tower, comprises 105 one-, two- and three-bedroom apartments set for completion by April. Delph head of sales Richard Forman said: "We launched on September 27 and we have already sold 45 – the average price is around £190,000. "This shows the interest there is in the scheme and the confidence. We spent many millions on the site and we need to recoup it. "The buyers are a mixture of owner-occupiers and investors. We are aiming for 50-50 each although it is more investors at the moment. "We have done about 15 owner-occupier sales. They include Colmore Row area professionals, quite young, late 20s, aspirational. "This is the most ambitious scheme in the Jewellery Quarter. It&apos;s the first new-build scheme in the area since the crash. "Phase One was completed in 2011 and we always hoped to do well with Metalworks so we are very pleased with it. "We have had hundreds of inquiries and are getting about 20 visitors a week. We&apos;ve had around 180 people through the doors to get 45 sales. "Birmingham has a great city centre and people working there want to be a little further out. You look at the area around the Jewellery Quarter and you can see all the history. "It&apos;s a vibrant and thriving region of the city and we&apos;re delighted to be part of the regeneration of this much-loved area." Mr Forman said many Buy-To-Let investors were aged between 50 and 60. "It offers a good return rather than pensions going forward. These are older people looking to supplement their retirements rather than rely on pensions." 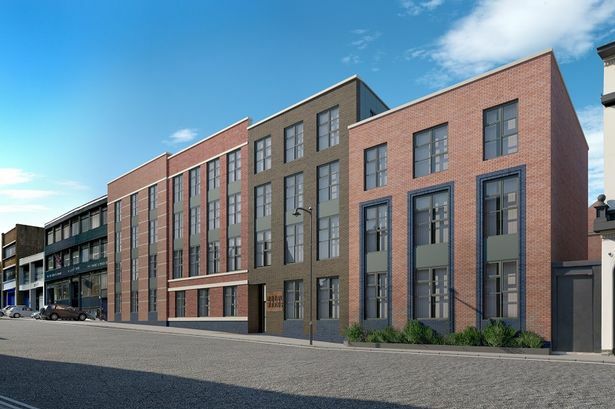 Kathryn Molloy, director at Birmingham-based sales and letting agency Maguire Jackson, said: "The Metalworks development is a welcome addition to Birmingham city centre, in an area that has proved to be very popular with house hunters already. "It&apos;s great to see developers on the ground in such a prominent area of the city and we look forward to seeing what is set to be some very impressive apartments."